Supreme Court won’t decide on status of executions. 180 Pennsylvanians sit on death row. The U.S. Supreme Court yesterday declined to take a case that might decide if the death penalty is constitutional. Six justices decided against hearing the case. Justices Stephen Breyer and Ruth Bader Ginsburg dissented, echoing statements from last year that the court should decide if executions should be allowed under the Constitution. Lamondre Tucker was sentenced to death in Caddo Parish, Louisiana for the 2008 murder of his former girlfriend. As Breyer noted in his dissent, Tucker “may well have received the death penalty not because of the comparative egregiousness of his crime, but because of an arbitrary feature of his case, namely, geography." In the Louisiana case, Breyer noted that Tucker was barely older than the 18-year-old threshold to be eligible for the death penalty and had an IQ of 74, —just above the level to be considered intellectually disabled — when he shot and killed his pregnant ex-girlfriend in 2008. In addition, he was sentenced in Caddo Parish, which renders a disproportionate percentage of the state's death sentences. The Supreme Court previously put a four-year moratorium on executions in 1972. Earlier this year, the court declined to hear a petition from Pennsylvania inmate Shonda Walter, who was sentenced to die for the 2005 killing of her elderly neighbor. On today’s court, the seat held by Justice Antonin Scalia, a supporter of the death penalty who died in February, remains open. In Pennsylvania, 180 state inmates are currently awaiting execution, according to May figures from the Department of Corrections. However, the state has only executed three inmates in the last 40 years. The last was in 1999. The move was challenged by Philadelphia District Attorney Seth Williams. However, the Pennsylvania Supreme Court in December ruled in the governor’s favor. Attorney General Kathleen Kane had also challenged the moratorium. Wolf has said that he will keep up the moratorium at least until a state report is issued this year on the expense and fairness of capital punishment. More than half of Pennsylvania’s capital inmates are black. The state’s total population is about 12 percent black, according to the U.S. Census Bureau. All but two of the capital inmates are men. Allegheny County has nine inmates serving capital sentences. Philadelphia has 65, according to the state’s list. 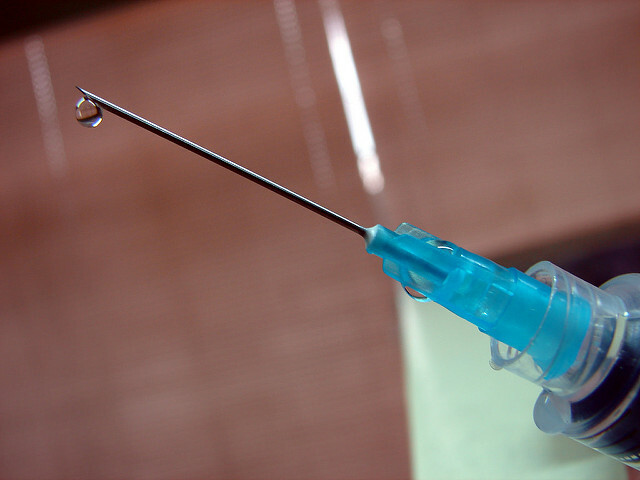 Last month, the drug manufacturer Pfizer announced a ban on the use of its drugs for executions. That means there is now no FDA-approved source of execution drugs, according to The New York Times, leaving states who want to kill inmates scrambling for available drugs. The obstacles to lethal injection have grown in the last five years as manufacturers, seeking to avoid association with executions, have barred the sale of their products to corrections agencies. Experiments with new drugs, a series of botched executions and covert efforts to obtain lethal chemicals have mired many states in court challenges. Nationally, the next scheduled execution is set for three weeks from now in Texas. Reach Jeffrey Benzing at 412-515-0062 or at jbenzing@publicsource.org. Follow him on Twitter @jabenzing. An Allegheny County judge has begun fining drug dealers to buy the opioid overdose antidote, naloxone, for agencies working in the communities where they’ve sold drugs. Heroin crisis The federal government has grim news on overdose deaths in Pennsylvania. Already in the midst of a drug crisis that kills more people statewide than car crashes, overdose deaths spiked nearly 25 percent last year, according to the Drug Enforcement Administration’s Philadelphia Field Division. Heroin crisis There might be good news for those who care about drug treatment money.